Ms. Marion Lay has been a major force behind the growth, development and success of Canadian women in sport. After capping her athletic career with a bronze medal in swimming at the 1968 Mexico City Olympics, Ms. Lay directed her considerable energies to promoting physical activity for women at every level. Ms. Lay was responsible for developing Canada’s first policy and statistical paper on women and sport and the first Women’s High Performance Funding Plan. She has worked to ensure equitable funding for women in sport and has served as a special advisor to Sport Canada, responsible for the Women in Sport program. 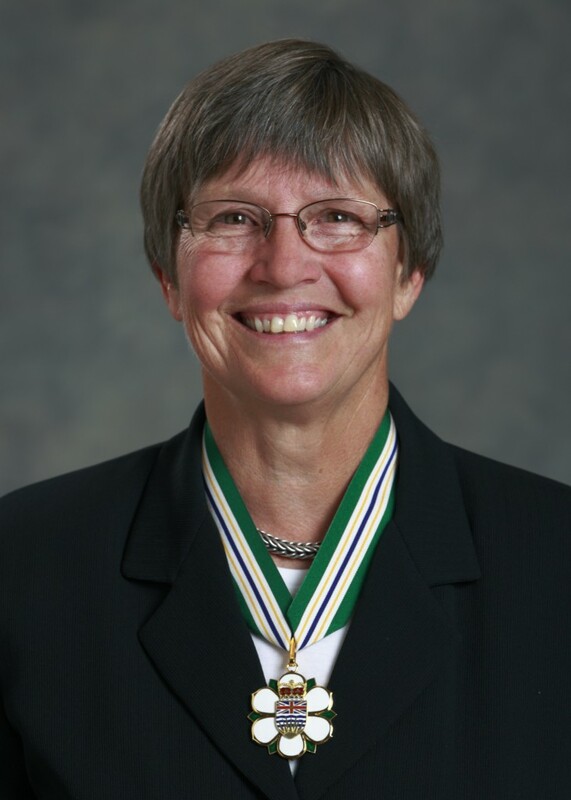 She was a founding member of the Canadian Association for the Advancement of Women in Sports and Physical Activity, and ProMotion Plus, the BC Organization for Girls and Women in Physical Activity and Sport. Ms. Lay was sport director for Expo 86 and the Vancouver Centennial Committee, President of Operations for the Rick Hansen Man in Motion World Tour, Co-Chair of the BC Games Society and a Board Member for the BC Sports Hall of Fame. She chaired the Vancouver 2010 Bid Corporation and served on the 2010 Vancouver Olympic and Paralympic Winter Games board. She was founding President and CEO of 2010 Legacies Now. Commanding global respect for her work, Ms. Lay has been honoured with numerous awards including the International Olympic Committees Trophy for the Americas for her outstanding contribution to Women in Sport. Ms. Lay is a creative, tenacious, hard-working visionary.